1. Which of the following statements about managerial accountants is false? A. Managerial accountants more and more are considered "business partners." B. Managerial accountants often are part of cross-functional teams. C. An increasing number of organizations are segregating managerial accountants in separate managerial-accounting departments. D. In a number of companies, managerial accountants make significant business decisions and resolve operating problems. E. The role of managerial accountants has changed considerably over the past decade. 3. Which of the following functions is best described as choosing among available alternatives? 4. Which of the following managerial functions involves a detailed financial and operational description of anticipated operations? 5. Which of the following involves the coordination of daily business functions within an organization? 6. Taurus Company has set various goals, and management is now taking appropriate action to ensure that the firm achieves these goals. One such action is to reduce outlays for overhead, which have exceeded budgeted amounts. Which of the following functions best describes this process? 7. Which of the following is not an objective of managerial accounting? A. Providing information for decision making and planning. B. Assisting in directing and controlling operations. C. Maximizing profits and minimizing costs. D. Measuring the performance of managers and subunits. E. Motivating managers toward the organization's goals. C. planning and controlling role. E. problem recognition and solution. A. The word "cost" has the same meaning in all situations in which it is used. B. Cost data, once classified and recorded for a specific application, are appropriate for use in any application. C. Different cost concepts and classifications are used for different purposes. D. All organizations incur the same types of costs. E. Costs incurred in one year are always meaningful in the following year. C. treated in the same manner as period costs. D. treated in the same manner as advertising costs. E. subtracted from cost of goods sold. 13. Which of the following is a product cost? A. Glass in an automobile. C. The salary of the vice president-finance. D. Rent on a factory. E. Both "A" and "D."
14. Which of the following would not be classified as a product cost? D. Insurance on a manufacturing plant. 17. Which of the following is a period cost? D. Miscellaneous supplies used in production activities. E. Both "B" and "C."
18. Which of the following is not a period cost? D. Wages of assembly-line workers. E. The salary of a company's chief financial officer (CFO). 21. Which of the following statements about materials is false? A. Acquisitions of materials are normally charged to the Purchases account. B. The use of direct materials gives rise to a debit to Work-in-Process Inventory. C. The use of indirect materials gives rise to a debit to Manufacturing Overhead. D. The use of indirect materials gives rise to a credit to Manufacturing Supplies Inventory. E. Direct materials are accounted for in a different manner than indirect materials. A. a debit to Manufacturing Overhead for $9,000. B. a debit to Manufacturing Overhead for $84,000. C. a debit to Raw-Material Inventory for $75,000. D. a debit to Work-in-Process Inventory for $84,000. E. a credit to Manufacturing Overhead for $9,000. A. also recorded a credit to Raw-Material Inventory. B. also recorded a credit to Manufacturing Supplies Inventory. C. was accounting for the usage of direct materials. D. was accounting for the usage of indirect materials. A. $0 because Work in Process should be credited. B. $0 because Work in Process is not affected. A. a debit to Advertising Expense. B. a credit to Advertising Expense. C. a debit to Manufacturing Overhead. D. a credit to Manufacturing Overhead. E. a debit to Projects-in-Process. A. debit to Depreciation Expense for $90,000. B. debit to Manufacturing Overhead for $90,000. C. debit to Manufacturing Overhead for $72,000. D. debit to Work-in-Process Inventory for $18,000. E. credit to Cash for $90,000. A. service department cost allocation. 30. Which of the following is the correct method to calculate a predetermined overhead rate? A. Budgeted total manufacturing cost ¸ budgeted amount of cost driver. B. Budgeted overhead cost ¸ budgeted amount of cost driver. C. Budgeted amount of cost driver ¸ budgeted overhead cost. D. Actual overhead cost ¸ budgeted amount of cost driver. E. Actual overhead cost ¸ actual amount of cost driver. A. large numbers of identical products that are produced in a continuous manufacturing environment. B. small numbers of products that are produced in batches. C. raw materials that are converted directly to finished goods. D. finished goods that are refined and processed further. E. large numbers of products that are produced in a non-repetitive process. 32. Which of the following manufacturers would most likely not use a process-cost accounting system? A. A producer of computer monitors. C. A producer of frozen orange juice. D. A builder of customized yachts. 34. Which of the following companies would likely use a process-costing system? 35. Which of the following statements about similarities between process costing and job-order costing are true? I. Both systems assign production costs to units of output. II. Both systems require extensive knowledge of financial accounting. III. The flow of costs through the manufacturing accounts is essentially the same. E. I, II, and III. A. establish a separate Work-in-Process Inventory account for each manufacturing department. B. establish a separate Finished-Goods Inventory account for each manufacturing department. C. pass completed production directly to Cost of Goods Sold. D. charge goods produced with actual overhead amounts rather than applied overhead amounts. E. eliminate the need for the Finished-Goods Inventory account. A. In job-order costing, costs are accumulated by job order. B. In process costing, costs are accumulated by department. C. In process costing, the cost per unit in a department is found by spreading the period's manufacturing costs over the production activity. D. In process costing, the total cost of each unit is found by dividing the total factory costs by the number of units completed. 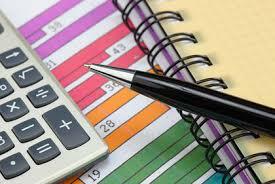 E. In job-order costing, the unit cost is found by dividing the job's total cost by the job's total units. B. batch and time period. D. department and time period. E. department or process, and time period. 39. Which of the following choices correctly shows how costs are accumulated in a process-costing system? A. a debit to Work-in-Process Inventory and a credit to Finished-Goods Inventory. B. a debit to Finished-Goods Inventory and a credit to Work-in-Process Inventory. D. a debit to Work-in-Process Inventory: Department A and a credit to Work-in-Process Inventory: Department B.
E. a debit to Work-in-Process Inventory: Department B and a credit to Work-in-Process Inventory: Department A. 16. Griswold, Inc., which uses a process-costing system, transfers completed production from Department no. 1 to Department no. 2 for further work. Which of the following best describes the account that would be debited to record this transfer? A. Cost of Goods Transferred. B. Finished-Goods Inventory: Department no. 1. C. Finished-Goods Inventory: Department no. 2. D. Work-in-Process Inventory: Department no. 1. E. Work-in-Process Inventory: Department no. 2. 17. Barnett, Inc., which uses a process-costing system, transfers completed production from Department no. 1 to Department no. 2 for further work. Which of the following best describes the account that would be credited to record this transfer? I really appreciate the owner of this website. This will help students to answer their questions with the help of internet while the teacher is not available and this http://www.rushanessay.com/ website always share excellent info. There should be more mcqs regarding different subjects.